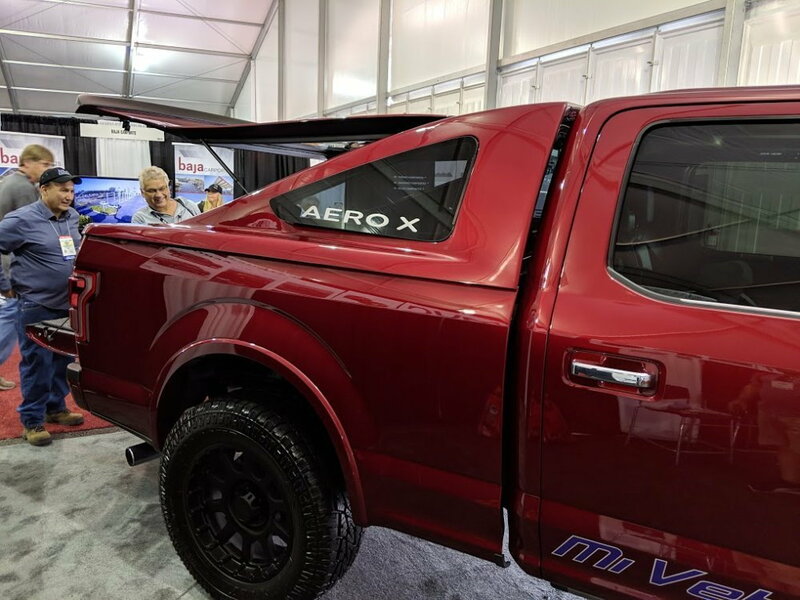 I have a feeling I know which way this is going to go, but I'm still curious as to what everyone thinks about this bit we stumbled across at SEMA. What do you think? Hot or not? More pics and details here. I like it better than black wheels on a truck... Actually, I kinda like it.. Would I get one for my truck? Not, but better than that 69 F100, looks wise..
Last edited by MitchF150; 11-09-2018 at 12:22 AM. I'm kinda mixed on it. The rear looks pretty decent but the side view reminds me of an Avalanche.....and I hate the stupid avalanche. Considering the A.R.E LSII on my truck cost me close to $1500.00, this one has to be far too expensive for me to consider. Frankly, I won't spend the money for the ARE LSII anymore. There's only about $250.00 worth of glasswork on it and it's not like they aren't using the same mold over and over and....... But they might sell a few. I've seen fuglier things made for and put on trucks, kind of defeats the purpose of a pickup unless you never want to haul anything. I would never get one. I could see the advantages if you are a frequent cross country driver and wanted to get a little better mileage. Definitely looks like an Avalanche which is Bugly. That's just dammed ridiculous looking IMO. What the hell is that big gap between the cab and the bed????? It looks like the bed was installed in the wrong position on the frame! Quick Reply: F-150 fastback: Hot or not?